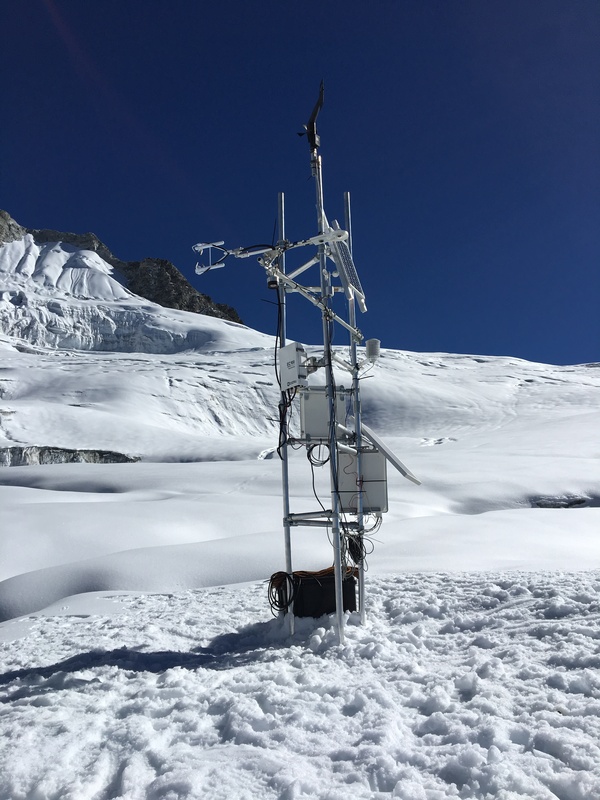 The eddy covariance tower on Yala Glacier after installation in October 2016 (Photo: Walter Immerzeel). Our new study, which was led by Emmy and published in Frontiers in Earth Science, shows that snow sublimation should no longer be ignored in future hydrological and mass balance studies in the Himalaya. We assessed the importance of snow sublimation to the water and mass budget of Yala Glacier in the Langtang Valley, Nepalese Himalaya. From a hydrological and glaciological perspective, snow sublimation is a loss of water from the snowpack to the atmosphere. So far, snow sublimation has remained unquantified in the Himalaya, prohibiting a full understanding of the water balance and glacier mass balance. 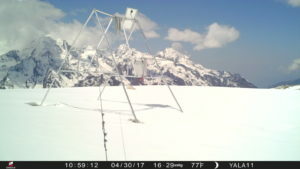 Hence, we measured surface latent heat fluxes with an eddy covariance system on Yala Glacier (5350 m a.s.l) to quantify the role snow sublimation plays in the water and glacier mass budget. The observed sublimation is 32 mm for a 32-day period from October to November 2016, which is high compared to observations in other regions in the world. 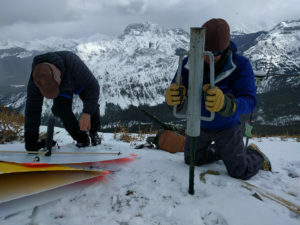 The bulk-aerodynamic method was used to estimate cumulative sublimation and evaporation at the location of the eddy covariance system for the 2016–2017 winter season, which is 125 and 9 mm respectively. This is equivalent to 21% of the annual snowfall. 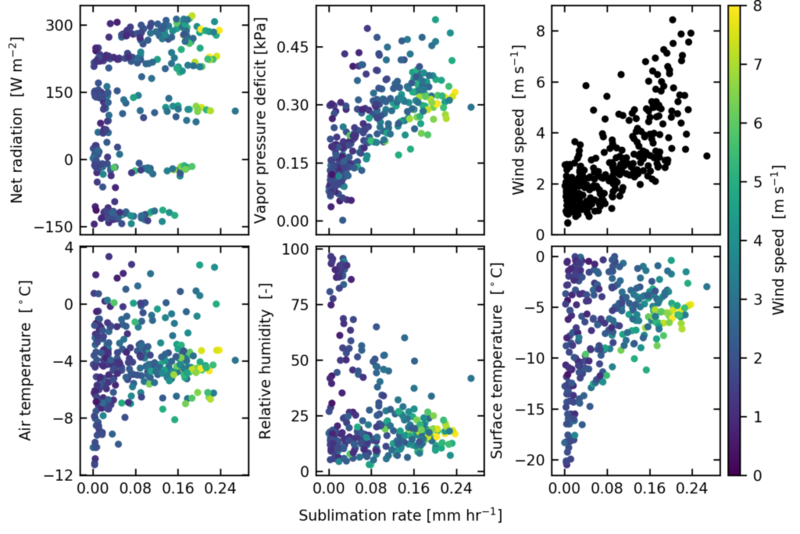 A combination of meteorological observations and WRF simulations were used to estimate the spatial variability in sublimation. These simulations reveal that sublimation is primarily controlled by wind speed. The daily cumulative sublimation is a factor 1.7 higher at the ridge of Yala Glacier, which is wind-exposed, compared the location of the eddy covariance system. 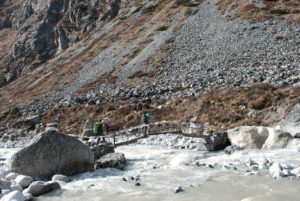 This is a considerable loss of water and illustrates the importance and need to account for sublimation in future studies in the Himalaya. This work quantifies surface sublimation only. However, sublimation may be enhanced under conditions with wind-induced snow transport. Therefore, future research will focus on including this component to fully assess the importance of snow sublimation in the high-altitude water cycle. Stigter, E. E., Litt, M., Steiner, J. F., Bonekamp, P. N. J., Shea, J. M., Bierkens, M. F., & Immerzeel, W. W. (2018). 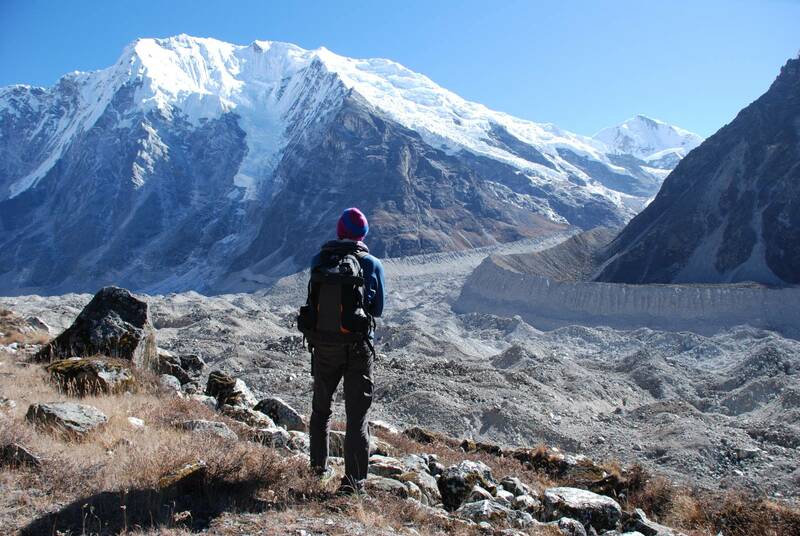 The importance of snow sublimation on a Himalayan glacier. Frontiers in Earth Science, 6 (108), 1-16. Scatter plots of meteorological variables against sublimation rate, observed at AWS Yala Glacier. The color of the data points refers to the observed wind speed. Results show that vapor pressure deficit and wind speed are the best sublimation predictors. A new study led by Philip presents a method to map surface temperatures of a debris-covered glacier with an unmanned aerial vehicle (UAV), which has potential to study melt processes of such glaciers. It was published open access today in Frontiers of Earth Sciences. In the paper we map surface temperatures of Lirung Glacier in three flights on a morning in May 2016. We present a methodology to georeference and process the acquired thermal imagery, and correct for emissivity and sensor bias. 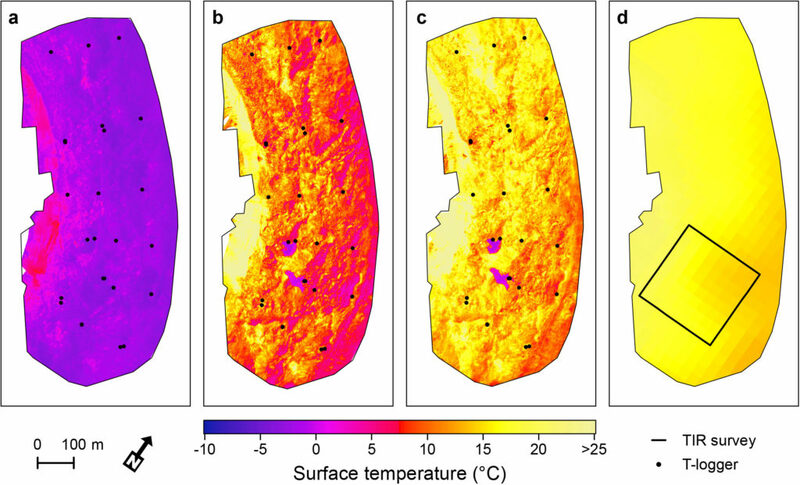 Derived UAV surface temperatures are compared with distributed simultaneous ground-based temperature measurements and with Landsat 8 thermal satellite imagery. Surface temperatures vary greatly both spatially and temporally and have a large range of 50 °C over course of the morning. Statistical analysis shows that the variability is largely independent of incoming radiation and topography, and that much of the signal in surface temperature originates from variation in properties of the debris. Future research of surface melt processes can utilize this data to further unravel heterogeneous melt patterns on debris-covered glaciers. Frontiers in Earth Science, 6(64), 1–19. Surface temperature orthomosaics of the three UAV flights on 1 May 2016 (A–C; 06:45, 09:20, and 10:35) and the brightness temperature of the Landsat 8 band 10 on 2 May 2016 at 10:32. Animation of ground-based thermal imaging of an ice cliff and its surroundings, performed synchonous to the UAV flights. 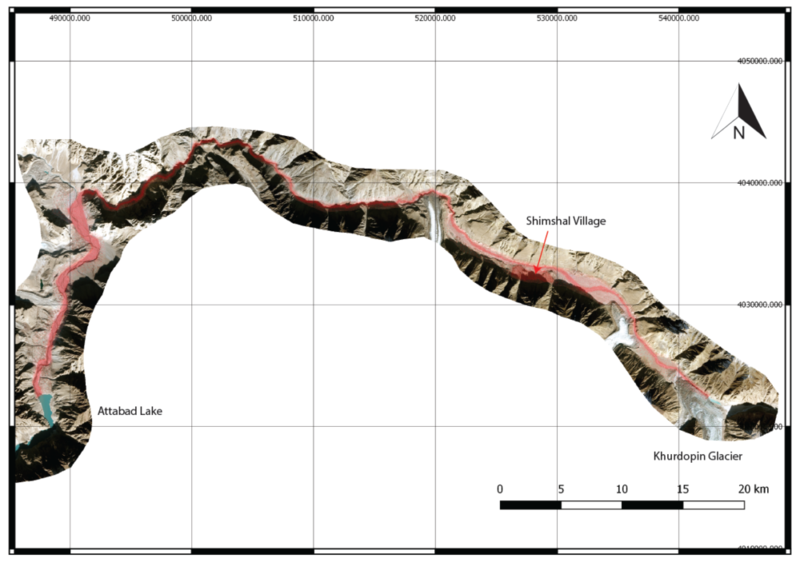 Recent observations show that the surging tongue of Khurdopin glacier in Shimshal catchment in Northern Pakistan has caused a lake to form in 2017 (Steiner et al. 2018), which might return annually in subsequent years following the melt season. Ongoing monitoring has shown that the lake expanded since November 2017 reaching a constant area of ca 350 000 m2 in March of 2018 and it has remained stable since. As the ice masses from the surge will take many more months to melt the lake is likely to remain or reappear even after drainage events. 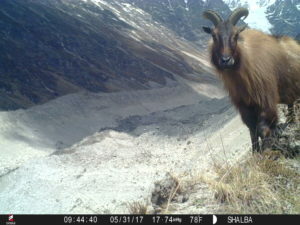 As the melt season starts the lake may drain and this may cause flooding downstream, in particular close to the village of Shimshal, the adjacent agricultural areas and lake Attabad located further downstream. The mountain hydrology team of Utrecht University is supporting the Aga Khan Foundation for Habitat. The National Disaster Management Authority (NDMA) in Pakistan is coordinating the effort and is dealing with the emerging issue and have put together a team of experts. Our results may support this process. To assess potential damage from a lake burst an initial BASEMENT hydrodynamic model was constructed for the area using available elevation models , estimated lake water volumes and dam breach scenarios from literature and an initial model simulation assuming a lake volume of 7 million m3 and a short breach period was conducted. The movie below shows the maximum inundation depth as the wave travels through the valley. Extend the model run until Attabad lake and assess the potential flood wave there. For more information please contact Jakob Steiner or Walter Immerzeel. 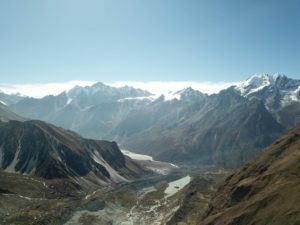 It has been a mystery for years: while glaciers are shrinking all over the world, there is an area in the Asian high mountains where the glaciers are actually growing. New research from our group shows that humans might be responsible for this. The increasing agricultural activity in the region is resulting in more snow and less sunlight in the mountains, precisely in the areas where the glaciers are growing. The vast majority of glaciers in the high mountains of Asia are partially melting away due to global warming. But there’s an area to the northwest of the Tibetan Plateau where the glaciers are actually growing. ‘Because the region is difficult to access, little has been known about these glaciers for quite some time’, says first author Remco de Kok, a physical geographer at Utrecht University. 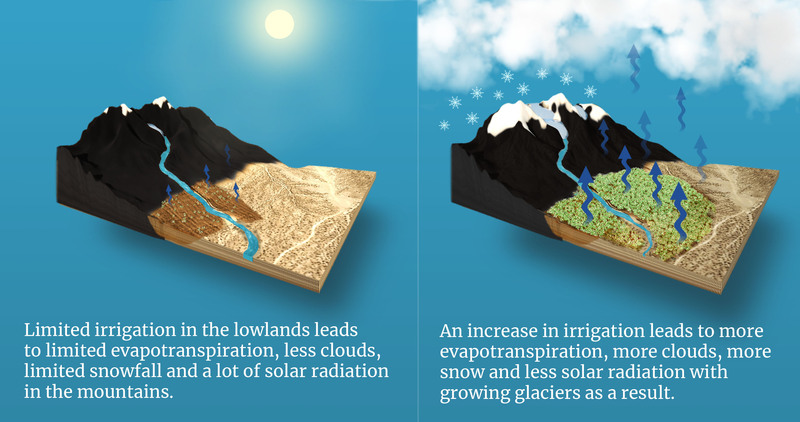 ‘But with the help of weather models we have shown that these glaciers can expand because local land use has changed. The fact that human activity can have such an immediate impact on the growth of glaciers is new information, and extremely important to know for the many people who depend on the meltwater from glaciers.’ The results of the study are published in the journal Geophysical Research Letters. Remco de Kok, Obbe Tuinenburg, Pleun Bonekamp & Walter Immerzeel. Irrigation as a potential driver for anomalous glacier behaviour in High Mountain Asia. In: Geographical Research Letters.